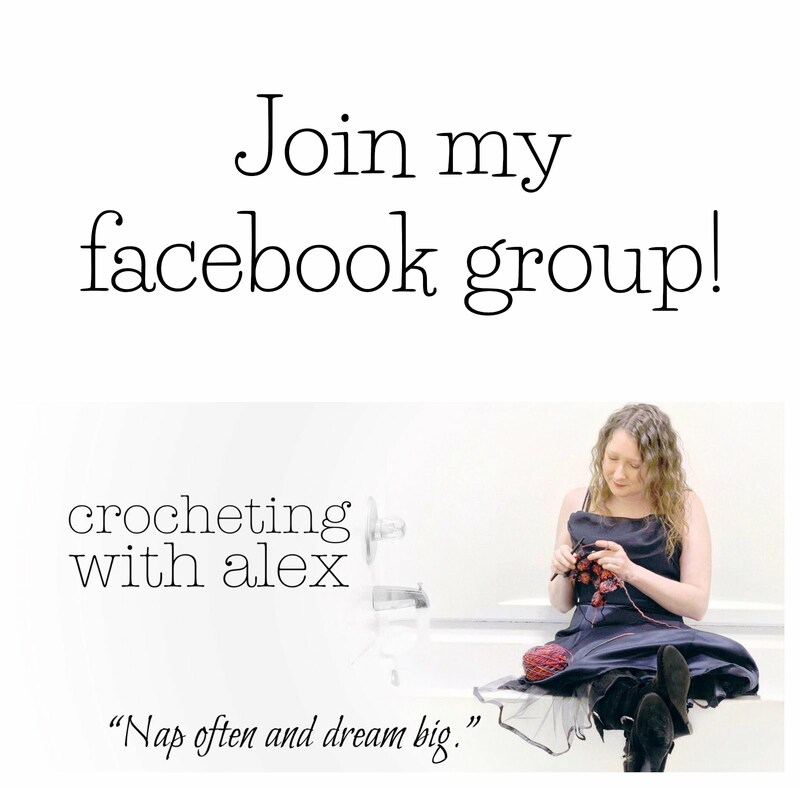 With Alex: The Mellow Mushroom Free Crochet Pattern! The Mellow Mushroom Free Crochet Pattern! This is my Mellow Mushroom and it's a free pattern! And it's my very first pattern that I've published! I hope ya'll love it! Scroll down for the free pattern. With the recommended hook size and yarn the mushroom will be approximately 3.25 inches tall. This pattern is worked in a continuous spiral using a stitch marker. 2. yarn over front back to front. 3. pull through the stitch, you will now have 2 loops on your hook. To begin the Mushroom top, start with your main color. I used red. *This is a good point to weave in tails, turn right side out, and stuff. Cut your yarn, finishing stuffing if needed, and weave in your tail. To start use your 2nd CC, I used tan. *This is a good point to weave in tails, turn right side out, add safety eyes and stuff. Cut yarn leaving a tail long enough to sew to the mushroom top. Finish stuffing if needed. Use CC yarn. I used white. Cut yarn leaving a long enough tail to sew to the mushroom top. Weave in the other tail. 1. Sew the spots to the mushroom top wherever you would like. 2. Sew the stem to the mushroom top. (it will look elongated and funny) Do not cut the yarn. 3. 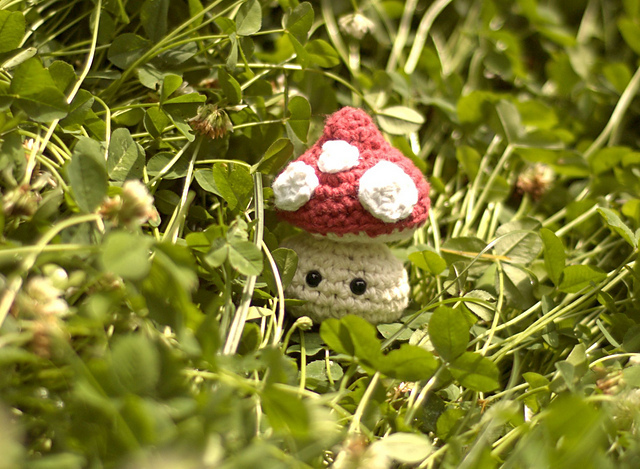 Before cutting the yarn that was used to sew the mushroom stem to the top, use that same yarn to thread up under one of your spots, pull snug, and then thread the yarn back under the spot and out the bottom of the stem. Pull tight till the top of the mushroom comes down over the stem and looks right. If you have any questions or comments please email me. I would love to see mellow mushrooms that ya’ll crochet! Click here to purchase the pdf. Alexandra Halsey You may sell any finished items, but I do request that you put a link back to my pattern and credit Alexandra Halsey for the original design under the Creative Commons Attribution Share Alike license. Do not copy, share, download or publicly display this pattern without permission. I hope ya'll enjoyed this pattern!